A hazard of motherhood in any creative life is that the momentum of success that carries you through the first years may start to fade, and isolation and discouragement set in. Painting careers often grow slowly and flourish late. A painter needs to produce a whole body of work, into which she may invest years without ever knowing whether she will succeed. Young artists who arrived in New York full of excitement, one writer mused, “knew nothing of the long times of defeat, the dead spells, the savage bite of poverty in middle age.” Living slightly outside the art community, neither a fresh face nor an established figure, in her forties Alice Neel saw her career begin to stall. A warning sign came in 1944, when Life magazine reported that the government was selling paintings acquired by the Federal Art Project as scrap canvas for four cents a pound. The Life article was illustrated with several discarded paintings, one of which was Alice’s. She managed to buy a few canvases back from a Canal Street junk dealer, but the bulk of the Art Project paintings—some of which would be worth millions on today’s market—were discarded or destroyed. Social realism was on its way out, partly because, in the conservative postwar atmosphere, anything connected to communism was suspect in America. In the new, nonrepresentational style of “action painting,” the painting was no longer “about” anything; instead the canvas was “an arena in which to act,” the picture the product of a series of heroic gestures. In 1951 Neel had two one-woman exhibitions, but the really important event of that year was the one she wasn’t in. The Ninth Street Show was the first major display of abstract expressionist painting, including work by Pollock, Willem and Elaine de Kooning, Franz Kline, Joan Mitchell, and many other artists of what became known as the New York School. Abstraction was about to sweep New York off its feet and figurative painting out the door. From now until 1960 Alice had only one more show. “I’m not against abstraction,” Alice later said. “What I can’t stand is that the abstractionists pushed all the other pushcarts off the street.” In fact critics have pointed out the pure painterly quality of Neel’s work, the decisiveness of her brushstrokes, the inventiveness of her forms—all qualities associated with abstract painting. More and more, though, she dedicated herself to the conservative genre of the portrait. In her situation it may have been a wise strategy. One way for a woman to achieve prominence is to choose an unpopular field and make it her own. Otherwise competition for status may sap her energy; or, attempting to take the lead, she may find herself in the margins. The low status of the portrait in the 1950s gave Neel an extraordinary freedom to explore and master the genre—and that in turn helped her achieve both control and a wild originality. The Baby on the Fire Escape uses biography to explore questions of maternal subjectivity and creative work. Lively essays on twentieth-century artists and writers – Alice Neel, Doris Lessing, Ursula K. Le Guin, Susan Sontag, Angela Carter, and Alice Walker – leap the gaps between work and mothering and explore new models for a creative life. A segment of the Le Guin chapter appeared as a profile in The New Yorker in 2016. Julie Phillips is a critic and biographer whose book James Tiptree, Jr.: The Double Life of Alice B. Sheldon won the National Book Critics Circle Award. She currently lives with her husband and two children in Amsterdam, where she is a book critic for the daily newspaper Trouw. She also contributes to the arts magazine 4Columns. 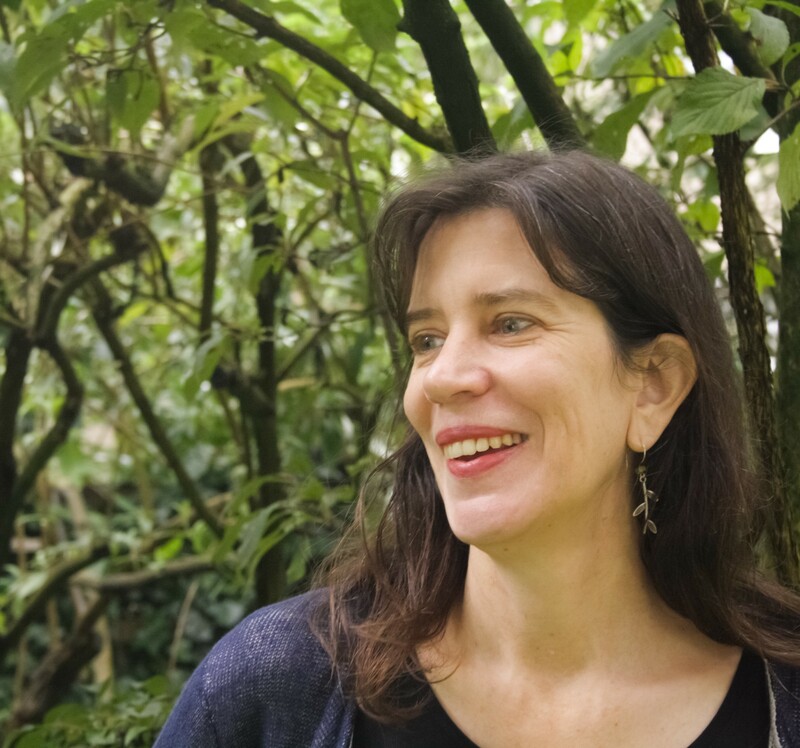 The grant jury: Julie Phillips searches for a new understanding of what she calls “the unreported spaces of motherhood” through the biographies of six wildly talented women artists and writers. With her own undeniable artistry, Phillips has wrought her subjects into facets of a single, urgent project. She is an ambitious and elegant writer with a fierce passion to explore the split between work and parenting. The empathy, insight, and sheer amount of research that have gone into this project are staggering. The Baby on the Fire Escape is an assured work of social history, art history, and feminist theory written in unfailingly vivid and gripping prose.